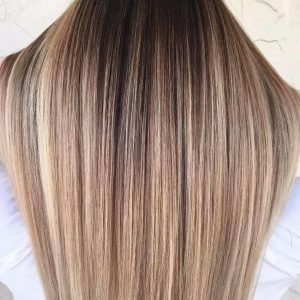 If you are searching for the top hair salon in Scottsdale that specializes in hair extensions, hair color, hair highlights and haircuts, Hair Stylist Nassi is here to help! Hair By Nassi, with hair salons in Scottsdale and Mesa, can help with many different hair services! Nassi is a master hair colorist and certified hair extension specialist since 1993. Popular queries used to find our hair services include: Hair salon, hair extensions near me, hair cut, hair salons, balayage salon near me, best hair color specialist near me, best hair salon in Scottsdale, extensions, top hair salon near me, master hair colorist near me, best hair extensions, hair extensions installation near me, hair extensions Scottsdale, hair salons near me, hotheads extensions, ombre hair, balayage near me, hair color near me and haircuts near me. Get the color, cut, or hair treatment you’ve always wanted with Nassi Morgan! She is now accepting new clients in Scottsdale and Mesa, Arizona. She is a Vidal Sassoon™ trained professional hair artist, certified, experienced and expert hair color specialist. She provides the best quality hair design and coloring services. She constantly trains to add new certifications, skills, and experience to her repertoire so she can get the perfect look you’ve always wanted. Transform your look with professional hair artist, Nassi Morgan. A certified colorist and style expert, she can help you find the look that flatters you The Best. MASTER HAIR COLORIST SINCE 1993! 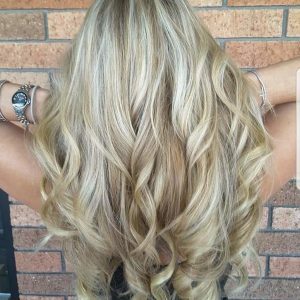 Nassi became a master hair colorist in 1993 and has performed hair coloring services for 1,000’s of women throughout the Scottsdale and Phoenix, Arizona areas. She specializes in many different color lines and is also a master tinting and bleaching specialist. I use Wella, Redken, Schwarzkopf & Matrix hair color lines. It all depends on your hair texture and condition. I will choose which hair color will work with your natural hair the best. 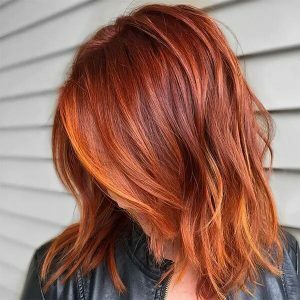 Looking to correct your current hair color because it didn’t come out like you expected or used boxed hair color? I can help you achieve the exact hair color you like using only the gentlest, safest and most effective methods of correcting your hair color. My hair highlighting and dimensional hair color services range from traditional highlighting to balayage. Full Highlights, Partial Highlights, Balayage & More! FULL, PARTIAL, BALAYAGE HIGHLIGHTS & MORE! The highlighting and dimensionals hair color services range from traditional highlighting to balayage. Whether you want something dramatic or only looking for a subtle look, I can suggest the right highlighting service for you. Want to add length, volume and style to your hair without damaging it? Hair extensions can do all 3! Hair extensions are easy to install and can give you the length, volume and style you’ve been looking for without sacrificing the quality of your natural hair. Nassi Morgan is a Certified Hair Extension Expert! Nassi is certified in many different types of hair extension installation methods including DreamCatchers Hair Extensions, Hot Heads Hair Extensions and Babes Hair Extensions. Keratin Hair Straightening Treatment – For frizzy, over processed, dry or thick hair. I can help with anything from a simple hair cut & style to Wedding & Bridal hair styles. No matter what style you are looking for, just about anything is possible. Get 10% Off Your First Chemical Service! Tired of fine, thinning Hair? Nassi has the solution! The Evolve Hair Volumizer! Turn your Self-Consciousness into Self-Confidence. I am wholly dedicated to the belief that we feel best about ourselves when we feel that our outward appearance is the BEST representation of our natural attributes. My goal is to help you discover the hair style the makes you feel your best. I take great pride in working with my clients to find the optimal representation of their ideal hair style. Thank you for your interest! For questions, comments, or to schedule an appointment, please click the button below. Proudly Serving Scottsdale & Mesa! Monday & Saturday: 8 a.m. – 6 p.m.
Tuesday – Friday: 7:30 a.m. – 8 p.m. Copyright © 2019 Hair By Nassi. All Rights Reserved.